It's Thanksgiving 2015 - the turkey's brining, the potatos not-yet-mashed...and from Pi Towers the call goes out A NEW PI IS BORN! LONG LIVE THE PI! The Pi Zero - the smallest, thinnest, most-affordable Pi ever. So much so, it comes free with every issue of MagPi #40. Want to get your own? 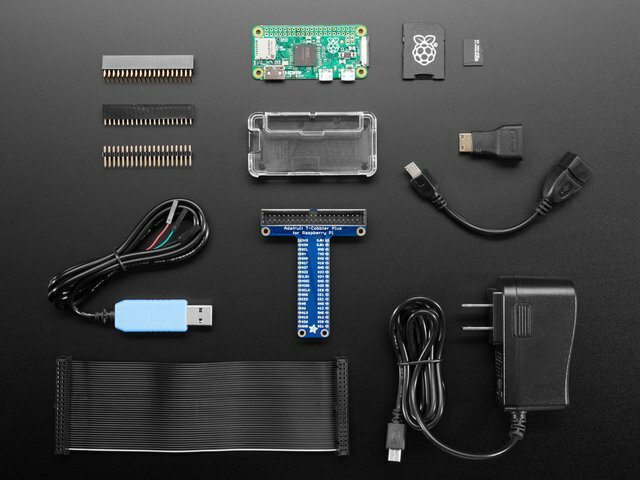 Pick up a Raspberry Pi Zero starter kit, basic kit or just the bare computer board at the adafruit shop. Wow a new Pi - so exciting! The Pi Zero is the smallest, most affordable Pi ever. Wonder what's new & different? Let's check it out! Is the RAM that is sitting on top of the main processor. 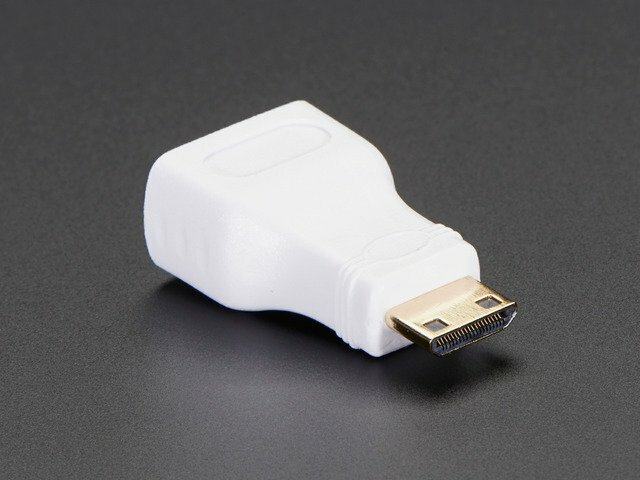 HDMI Video is still available, you'll want to use a Mini to Standard HDMI adapter to connect an HDMI cable. 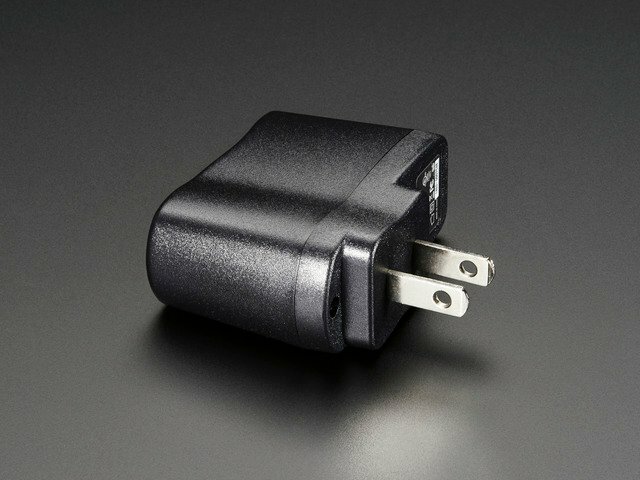 There's no 3.5mm jack with composite out, however you can get PAL or NTSC out via two 0.1" pads. We've got a bigger write-up here about Pi Zero video outputs. 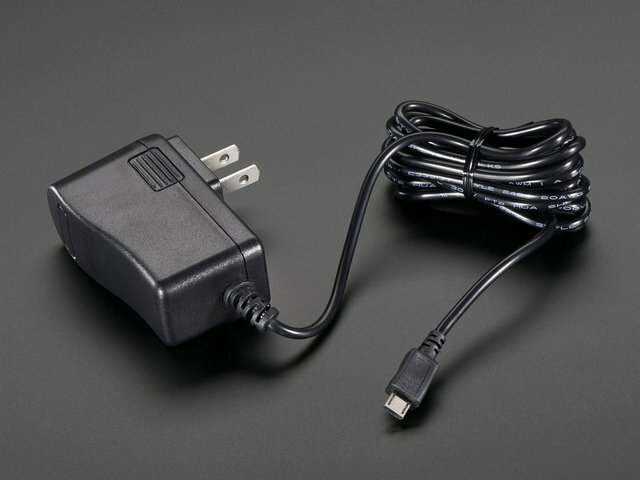 No analog audio out, but if you connect HDMI to a monitor with speakers you will get HDMI digital audio. It's also possible to hack analog audio out with a few passive components, see our more detailed look at Pi Zero audio output options. 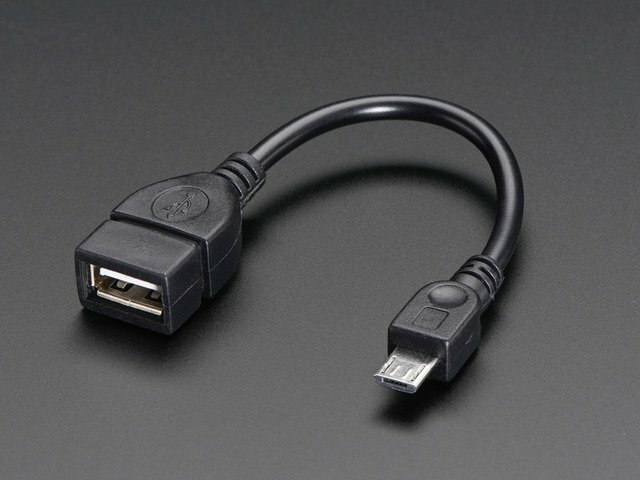 If you need to connect multiple USB devices, a simple USB hub will do what you need. A powered hub is even better, and will let you power high-current USB devices like WiFi adapters and even external USB hard-drives. As a bonus you can power the Pi Zero from the hub (the power cable does not pass any data) - just plug the power micro USB cable into one of the ports. We really like using Etcher for burning SD cards. Works great on any version of Windows, won't over-write your backup disk drive, and can handle compressed images so you dont need to unzip them! Run the downloaded app to install! This will launch the following application. That's all there is to it. 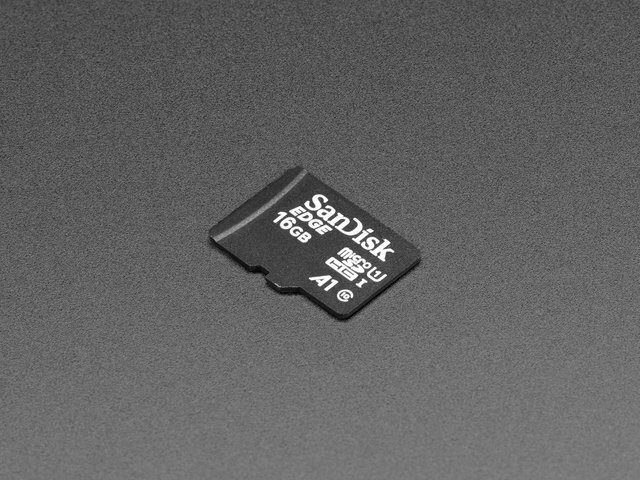 Your SD card is ready for use in your Raspberry Pi. We really like using Etcher for burning SD cards. Works great on Mac OS X 10.9 or later, won't over-write your backup disk drive, and can handle compressed images so you dont need to unzip them! Open the downloaded disk image and drag the Etcher application to the Applications folder. You can then eject the disk image. The first time you run Etcher you’ll be asked to confirm the download. Click “Open” to continue. Select the SD card image file by clicking Select Image. You can choose a compressed SD image file such as a .zip or .gz or an uncompressed .img, it’s all good! Etcher will automatically try to detect the SD drive. If you don’t have an SD card currently inserted, you’ll be prompted to connect one. Check the disk size to make sure its the right one, that it’s not overwriting your main drive or anything nasty. Etcher will work for a few minutes to “burn” the SD image to the card. You’ll see a progress bar as it works. This is about the time you’ll wish you’d splurged on a high-speed card. The card will be unmounted automatically, so you can pull it out now and use it in your Raspberry Pi. If you find yourself burning a lot of SD cards, you can speed things up by clicking the gear icon at the top-right, then turn off the “Validate write” option. I’ve written hundreds of cards and only had one fail validation. 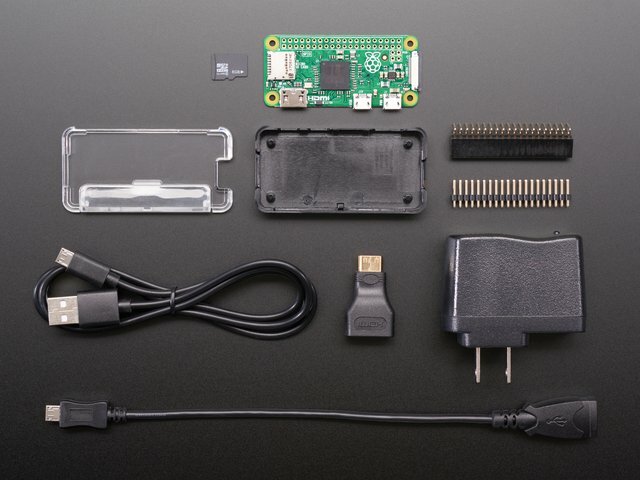 The Raspberry Pi chipset was originally designed to be a HDMI/graphics co-processor for mobile devices. For that reason, it has quite a bit of 'HDMI horsepower' and can, despite it's small size, play 1080p video at full screen. Even though it is 'half size' of the A+, you can still use any of our PiTFT's on the Pi Zero You can use any size from our 2.2" 320x240 PiTFT HAT, up to our 3.5" Touchscreen 480x320. OK so you want TV video? Maybe for one of our very tiny composite video screens? The most intriguing difference for hackers and makers is that the Pi Zero does not come with the soldered GPIO header. Partially this is to save cost, but it also allows the Pi Zero to be very thin and gives you the option of embedding it easily into a project box. 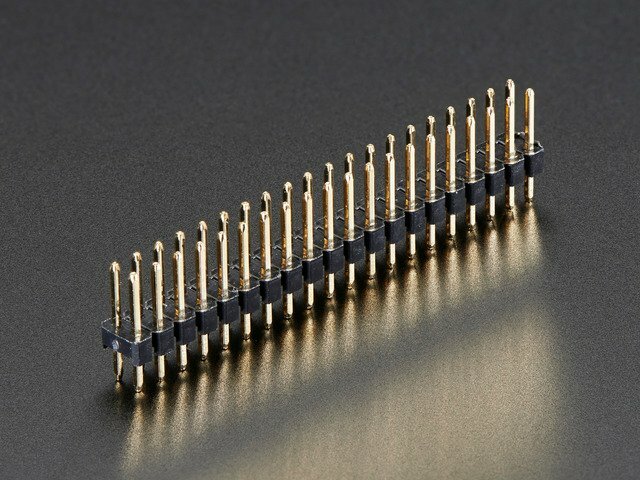 You can practice your soldering! Like blue jeans and Coca-Cola, the 2x20 male header is the classic option. and attach it upside down you can plug it right into a T-Cobbler! Now you can stick it into a Cobbler or T-Cobbler and it will sit sort of like a computer daughtercard! The Pi Zero is so minimal, it can be tough to tell if its working at all. Here's how to do a quick check (from this sticky)! This guide was first published on Nov 26, 2015. It was last updated on 2019-04-15 23:58:38 -0400.